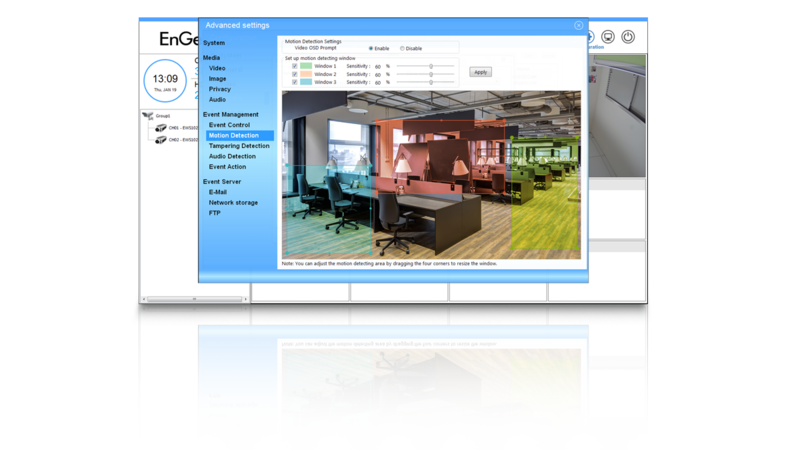 Streamline the set up and management of EnGenius network surveillance cameras with the included Video Management Software. Easily monitor your entire camera network and view live video feeds. 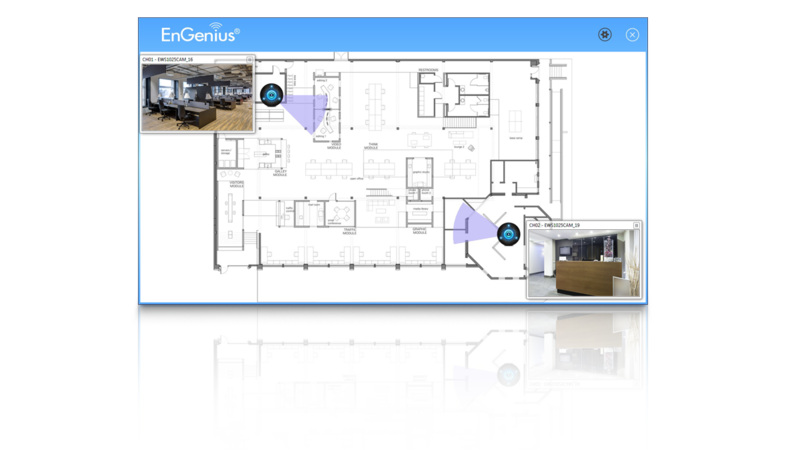 Import your floor plan to create a camera location map and set recording options and notifications. Secure your entire home or business with EnGenius’ network cameras and easily monitor up to 16 cameras at once locally or remotely. 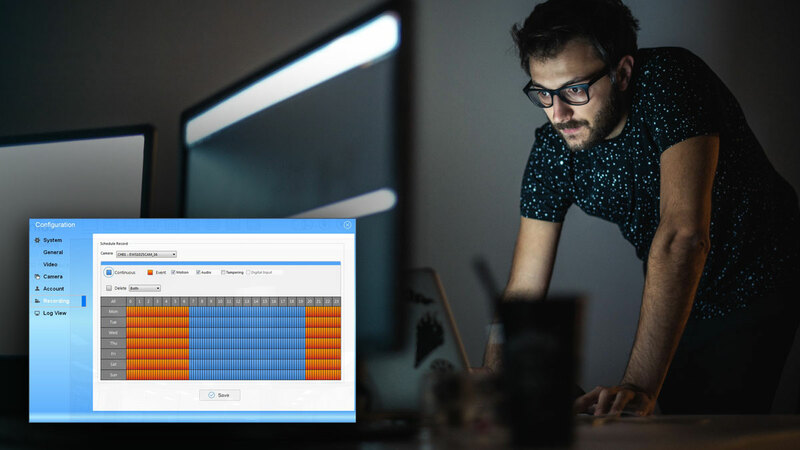 Share video monitoring responsibilities between your family, staff or security personnel from separate locations and up to five (5) different computers at the same time. Easily adjust each connected camera’s media and event settings. Set individual cameras to detect, record and send alerts based on Motion, Audio and Tamper parameters. Schedule or set each camera to record continuously or based on event activities. Set precise zone coverage in designated areas to record motion-detected activity near entryways or around windows or valuable property within the camera’s field of view. Customize three (3) motion-detecting zones for sensitivity and block areas from the camera’s view with Privacy Mask. Import your home or business floor plan to create a visual camera location map through eMap. Simplify camera viewing and quickly locate cameras in specific locations throughout the property with a click. Monitor your business long after you’ve locked the doors. 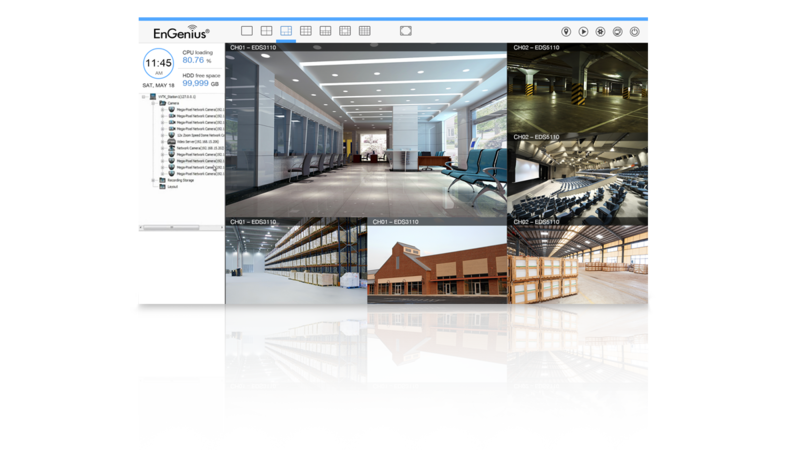 Pair the VMS with the EnViewer mobile app to view video from up to four (4) cameras at once, and instantly record activity. 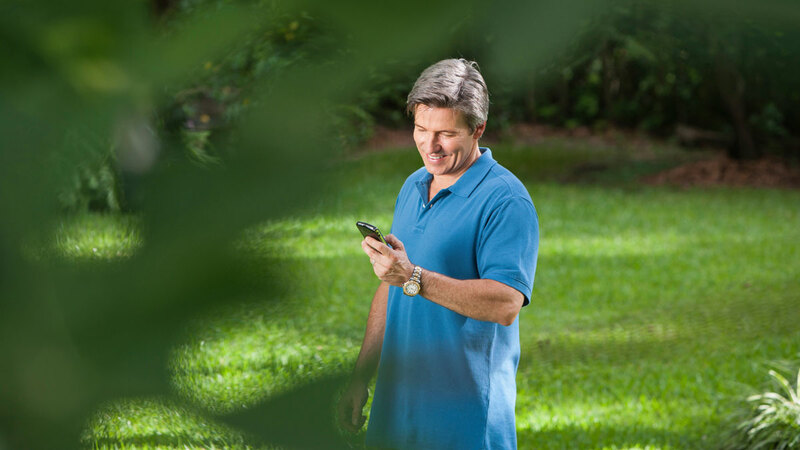 Watch, record and receive motion or audio-triggered event alerts directly to your mobile device for instant notification of events in progress.